Leaves emerge cherry-red and become green with age. For most of the season, leaves are bright green with red edges. Fall color is a blend of yellow and orange shades. 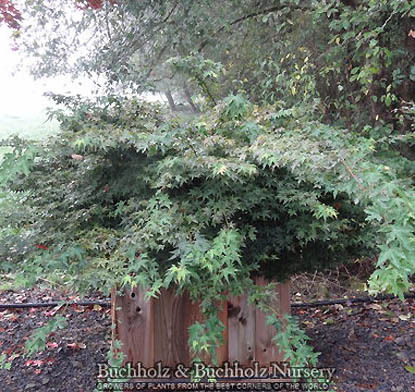 Compact and tidy habit is great as a small patio tree or as a specimen for smaller yards.